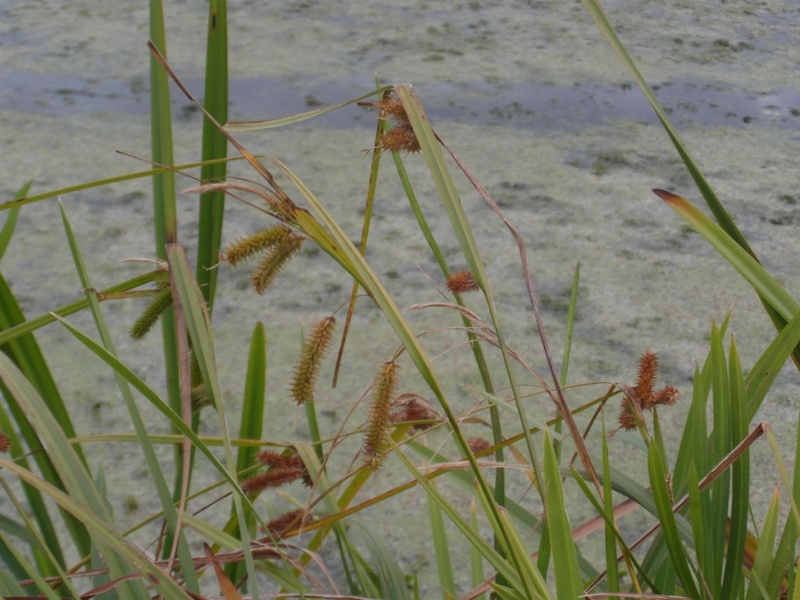 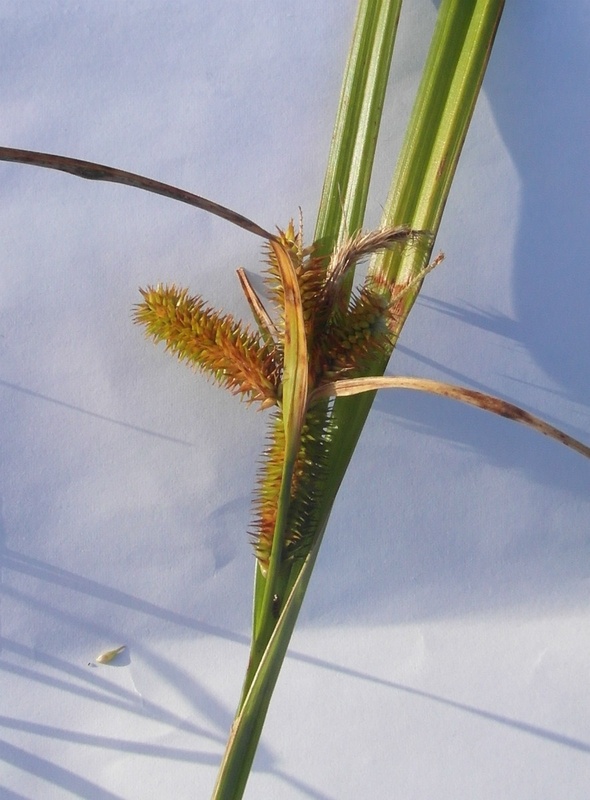 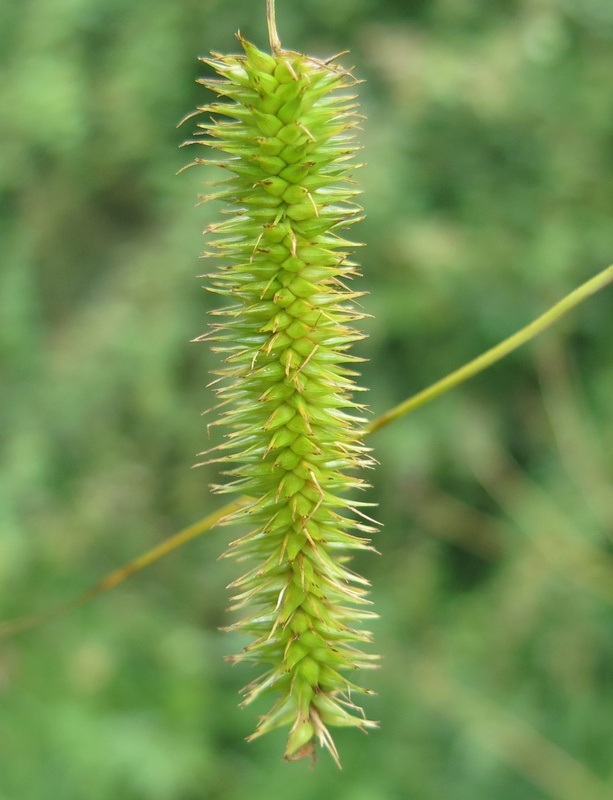 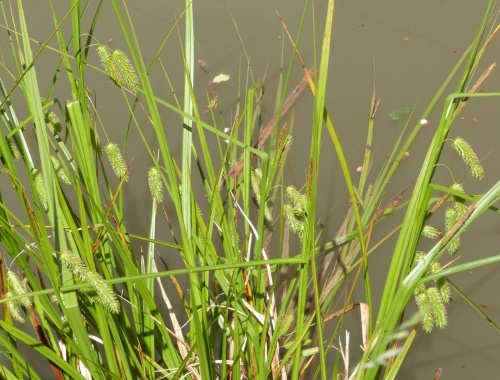 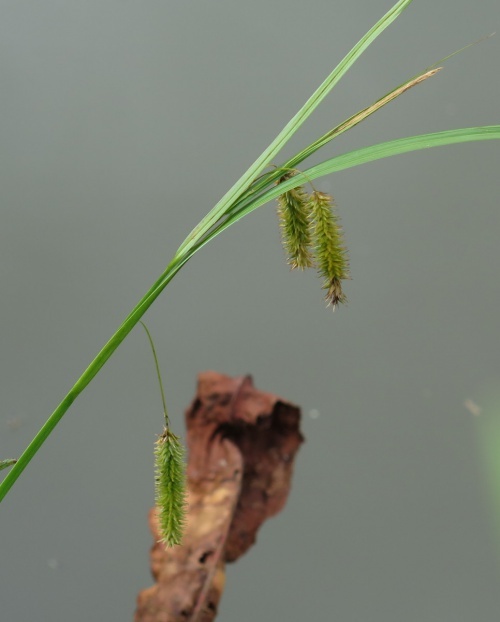 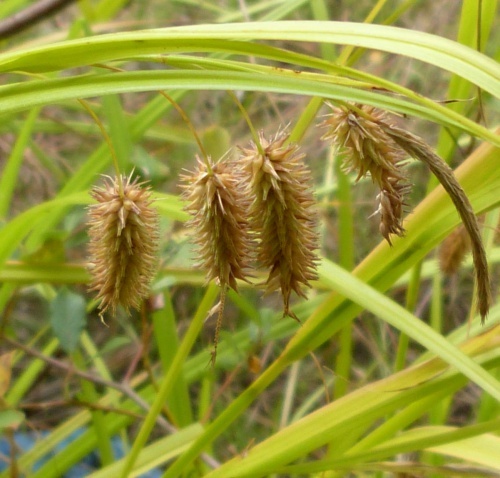 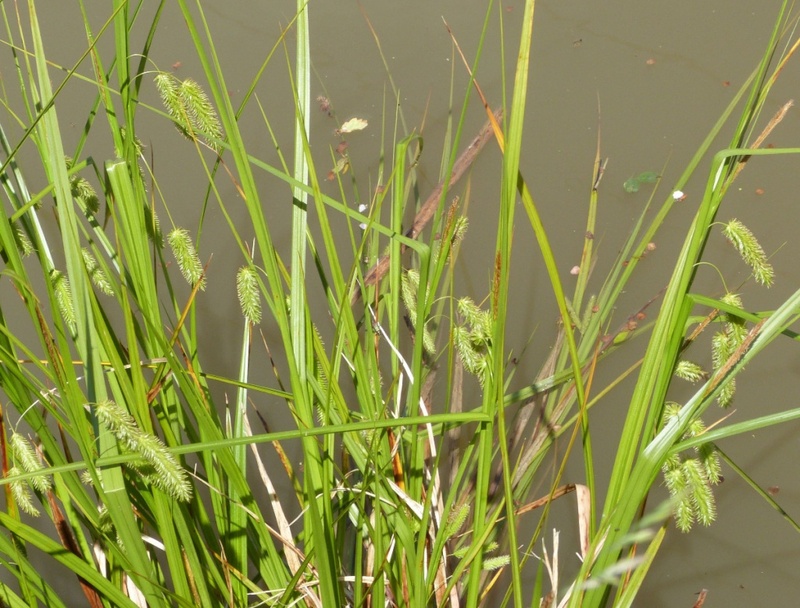 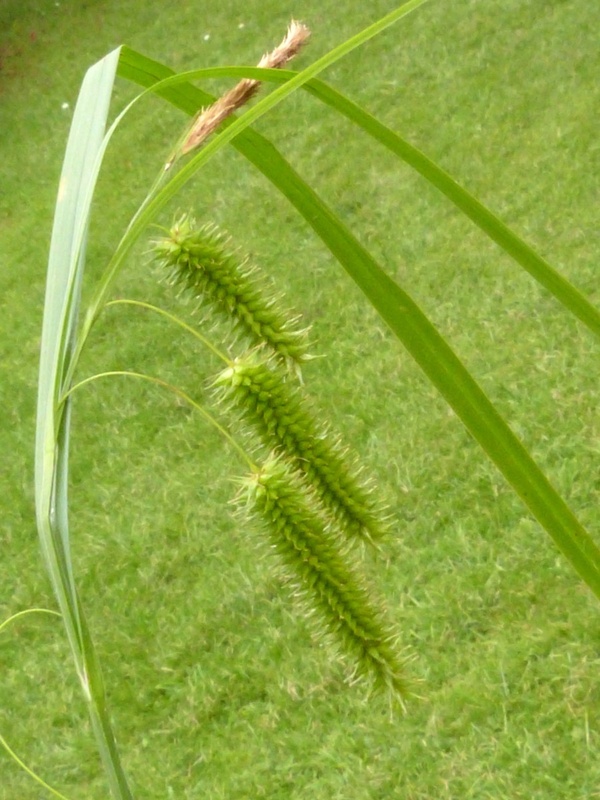 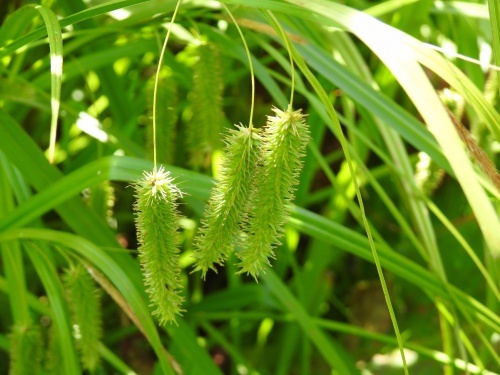 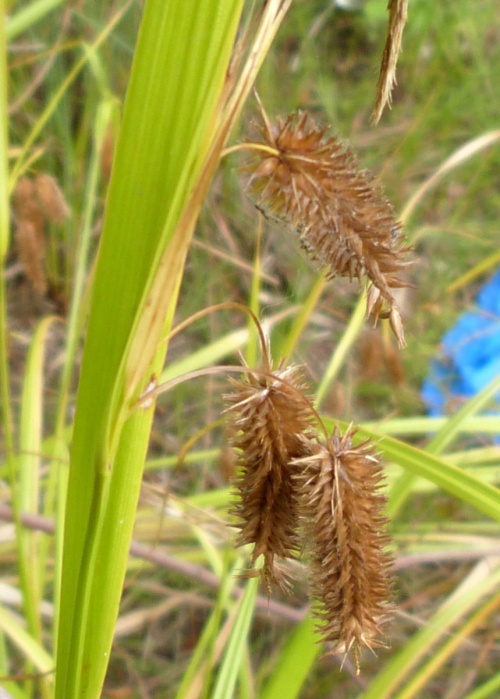 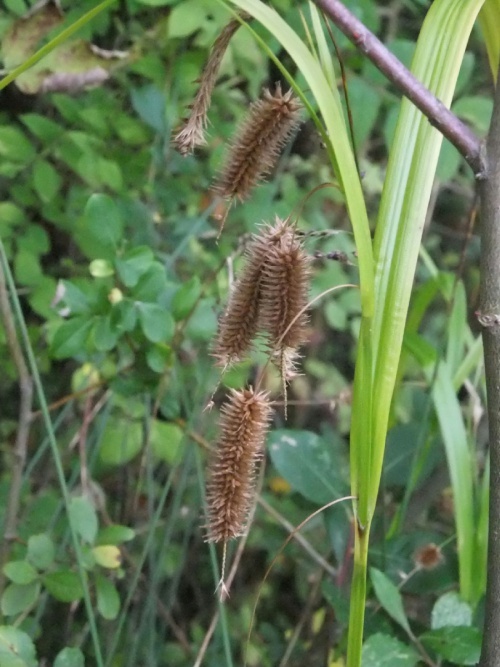 This sedge often grows with its feet in the water and can reach up to 1 metre tall. 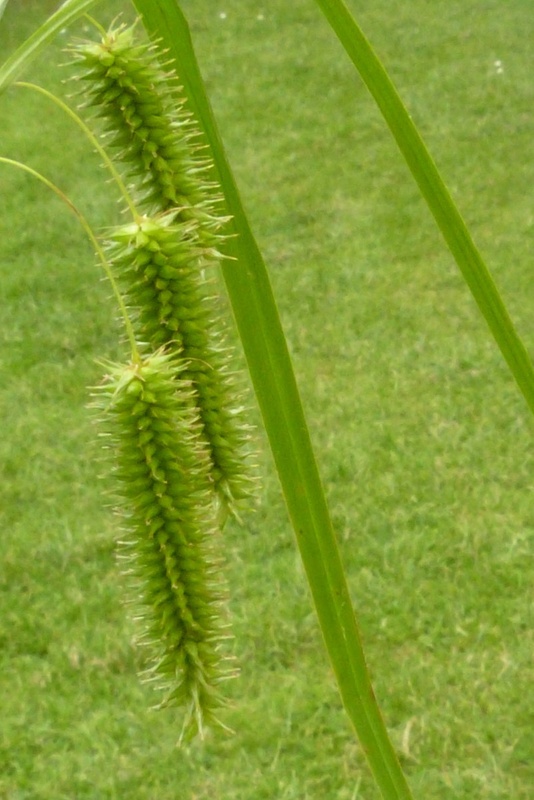 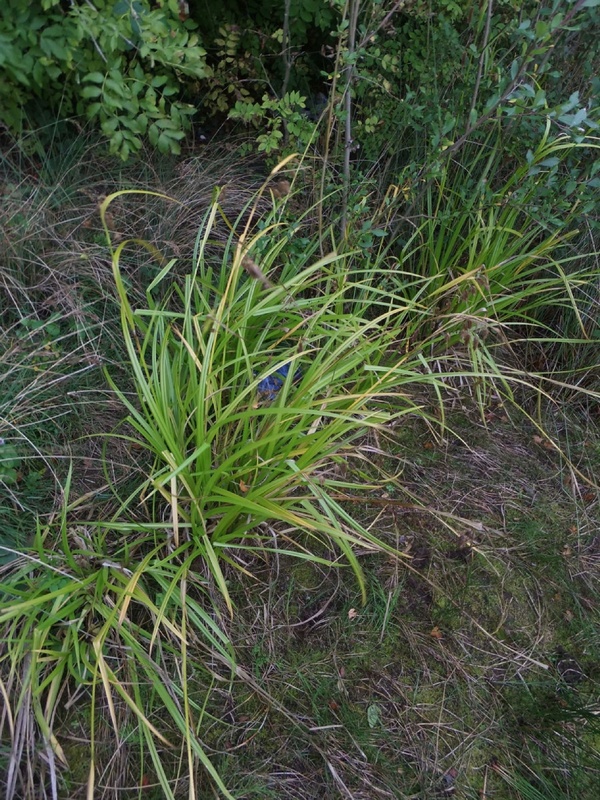 It is a rather loose looking sedge with a pendulous habit when in flower. Usually found on the margins of ponds or the banks of canals. 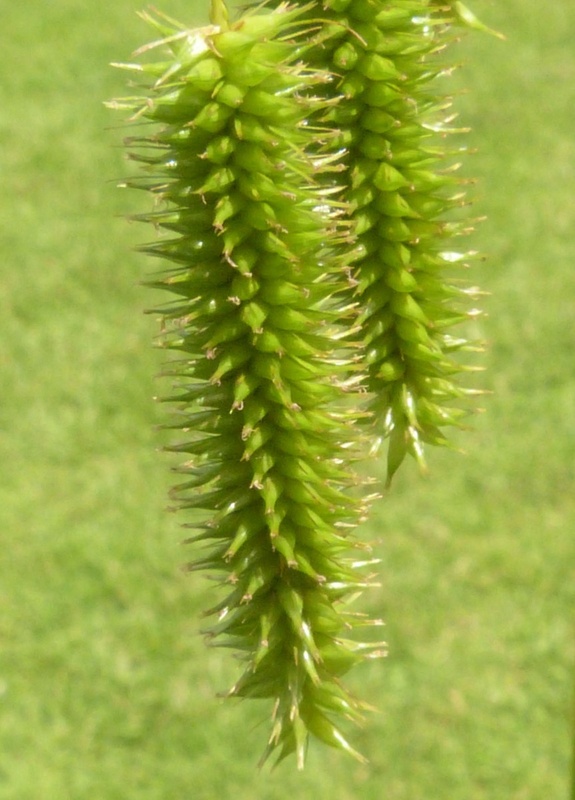 Flowers in May and June. 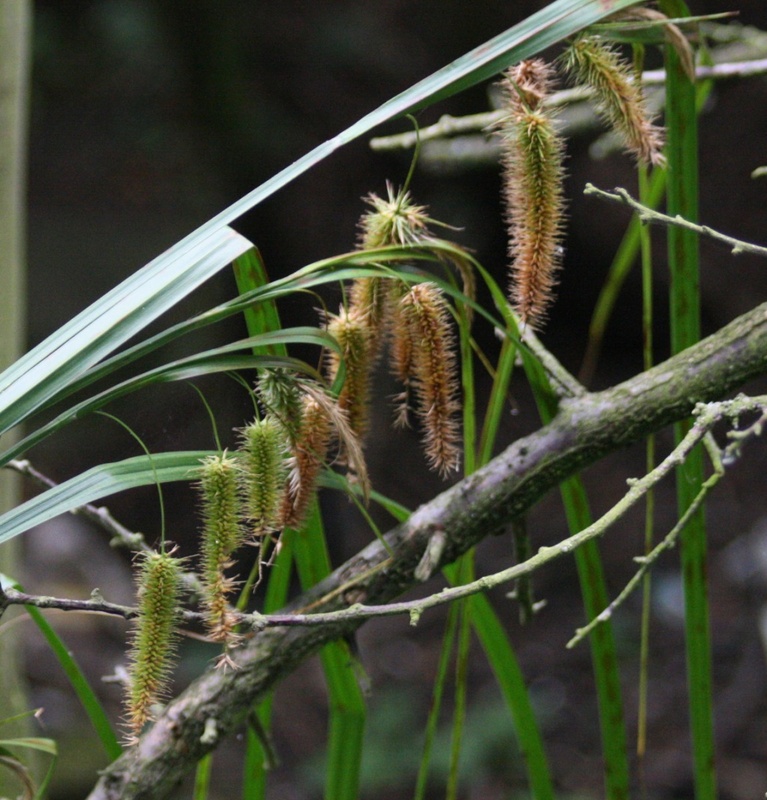 Fairly frequent in England north to Lancashire, less common elsewhere in Britain. 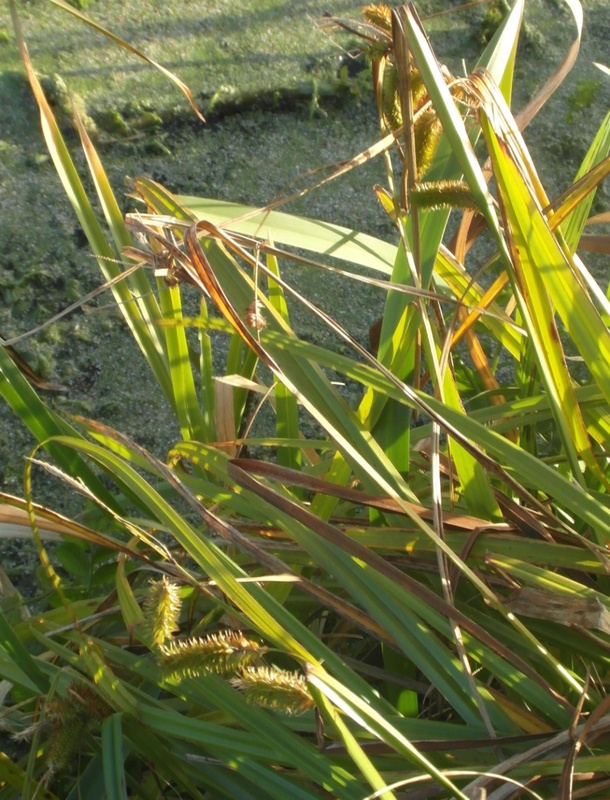 Locally frequent on the margins of the Ashby Canal and the Grand Union Canal occasional elsewhere in our area. 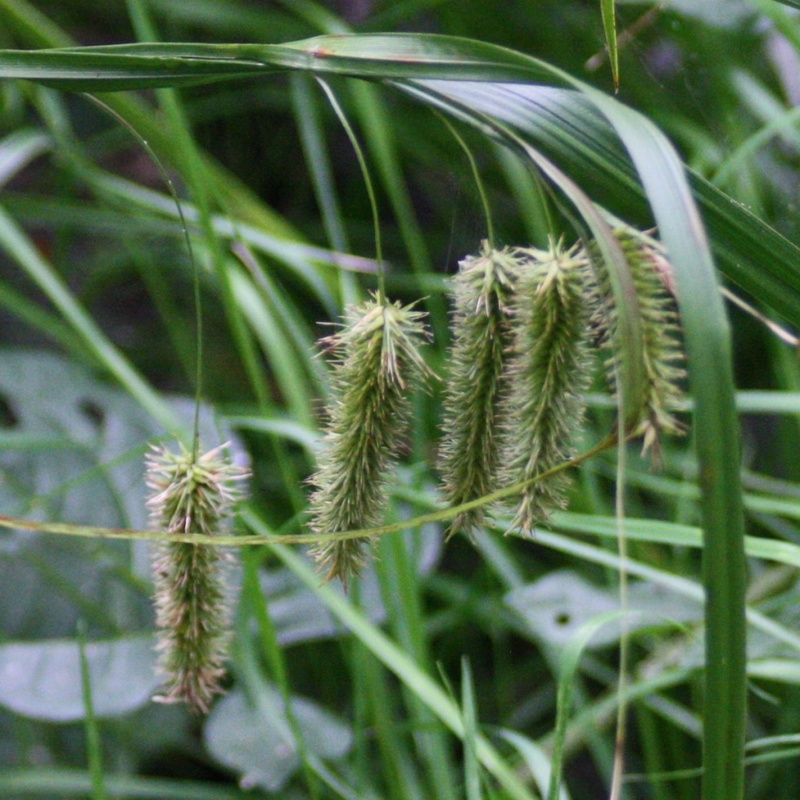 In the 1979 Flora survey of Leicestershire it was found in 34 of the 617 tetrads.